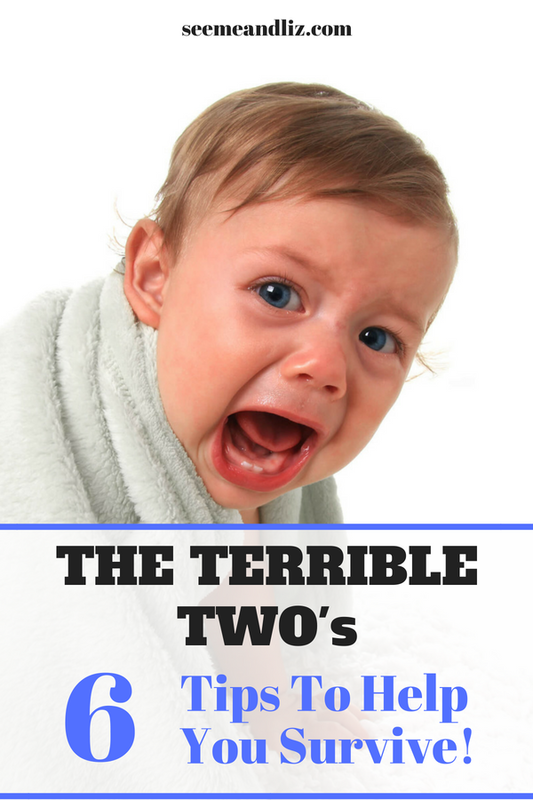 Do the terrible two’s really exist? They sure do. And so do the terrible three’s, four’s, five’s, six’s! But are there easy ways to handle the terrible two’s and the other terrible years that may come after them? What Are The Terrible Two’s? All children are different and not every child will go through the same stages and phases at the same time. 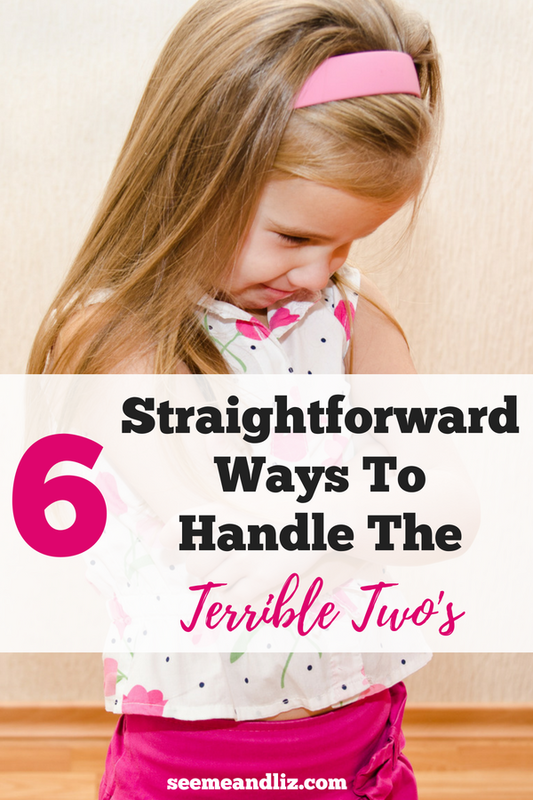 If your child did not go through the terrible two’s (one of mine did while the other didn’t), just wait, they may go through the terrifying threes, the ferocious fours, the fiery fives, sour sixes, etc. If you are lucky enough (I mean unlucky) your child will not only go through one of these phases, but many of them. My son definitely went through the sour sixes. My daughter is in the tween years now and unfortunately it does not get easier, but with the right tools it becomes more manageable. The terrible two’s are just what they sound like…terrible! Your child often acts irrationally and it seems like nothing you do will help. Everyone, including the child, is miserable. 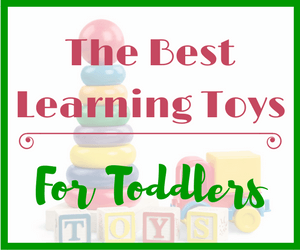 There is screaming, throwing, hitting, biting and the list goes on. It seems as if they are intentionally defying you. Would you be surprised if I told you that the terrible two’s is actually a myth? Yes, some people claim it doesn’t exist. I can see that as not every child will go through this phase. But they will most likely go through another one. 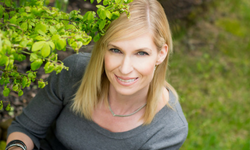 Since I have been through many of these childhood phases with my own children and other people’s children, I want to share with you how I dealt with them. 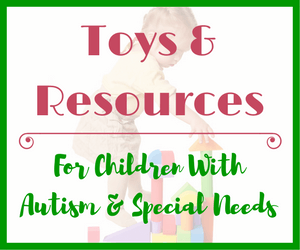 This article is mainly about the terrible two’s however, the tips can be adapted to other age groups. This one seems like it would be easier said than done. But trust me, if you lose your cool your child will feed into it and this could reinforce the tantrum. Take a step away, take a deep breath and then talk to your child. Your child will be able to sense your calm demeanor and it can help calm him down. Screaming or laughing at your child will not help. It may help you as the parent in the moment, but nothing good will come of it in the long run (I have been there). When my son has a tantrum there have been a few instances when my husband and I start to giggle because what he is tantruming about is so absurd. My son has caught us with smirks on our faces and this just sent him into a further rage. Laughing or even yelling can invalidate your toddler’s (or even older child) feelings. You may not understand the reason for the tantrum and she might not either, but your reaction plays a role in how long the tantrum lasts and how bad it might get. This one applies to all ages in which negative behavior may occur. Let your child know what the rules are at home, in public, at a friends house, etc. This one will get easier to enforce as your child gets older and can understand more. For example, let your child know before you leave the house that there will be no candy purchased at the grocery store. If your child has a tantrum and wants candy, a toy, etc once you get there, stay firm. Unfortunately even though you explained the expectations there will probably still be tantrums. If this happens, especially in public, try to remove your child from the situation. Go into another aisle, find a bathroom or go to the car (depending on how much shopping your have done. I know nobody wants to leave their full cart behind). But whatever you do, do not give in to your child’s demands. By doing this, you are reinforcing to your child that when she screams, mommy/daddy/grandma gives in. Disciplining a child can be quite challenging. What works for a 5 year old won’t necessarily work for a two year old. A two year old for example will not benefit by being told to go to their room for 10 minutes whereas a 5 year old might. Two year old’s usually can’t express why they are upset and thus having a tantrum. I found it best to let them have their tantrums. If you are at home, just take a step back (assuming the child is not harming himself or others). As a parent this can be hard. Turn your back and count to 10 if you have to. Once your child is calm then you can talk to them. During the terrible two’s, discipline can be a challenge. For my children (between ages 2-3) we would do 2 minutes on the couch as a form of discipline. Usually I would have to sit with them. One thing I do not recommend, especially for young children is taking away their favorite “stuffie“. A child’s “stuffie”, “lovey” or whatever you choose to call it often brings them a sense of calm and security in a world where so much is unknown to them. If you decide to take something away from your child as a form of discipline, choose another toy. Many tantrums start because your child is trying to assert himself. Everything is done for him all the time and he may feel a lack of control in his life. Children are ego-centric, they assume others see, hear and feel things just as they do. By offering your child choices they feel a sense of power. Another great area where you can offer your child a choice is clothing. My daughter insisted on picking her clothes starting at the age of 2. And this was often the cause of a lot of tantrums. Once I started giving her choices the tantrums lessened. I am one for wanting my children to dress appropriately for the weather and I also want them to look like they have parents who care (so I want their clothes to match, somewhat). I would lay out about 4- 6 articles of clothing that all would go together. Then my daughter would choose her outfit from those pieces. It worked very well! She felt in control. Try to use positive phrases as much as possible around your child. Instead of starting your sentences with “don’t….” start them with “do…”. For example, instead of using the negative “don’t run”, try saying “walk please”. Young children do not have a good understanding of negation. Therefore they often only hear the keyword in the sentence. In the example I just gave, they will either hear “run” or “walk”. So remember, you want them to do what you have instructed, so word it positively wherever you can. By doing things to help and encourage your child you are building their self confidence and independence. Be as supportive as possible when your toddler is having a tantrum and help him find an outlet for his frustration. Go on a walk, run circles around a chair in the living room, throw a ball back and forth, etc. I don’t want to overwhelm you and make the list too long. I think these 6 pointers should help most of you handle the terrible two’s (or three’s, four’s, five’s etc.) with relative ease. If you are struggling with public temper tantrums, make sure to read this great article! If you feel like you are still really struggling check out these great books! 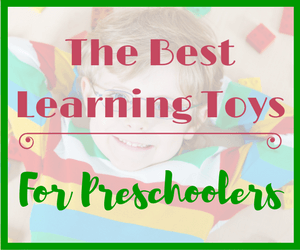 Are you going through the terrible two’s with your child or are you on to another phase? Please share your thoughts, experiences and any tips you may have in the comments below! Oh my, I am dealing with the terrible twos right now lol. It is actually a blessing though because although I am pretty calm, my son has challenged me to take it to a whole new level. Great tips for new parents, and I want to bless every parent that has dealt with this or will haha. I know what you are saying Cliff. I think of myself as being quite calm but children can really put that to the test. The terrible two’s will pass, but then there are other stages to deal with. If you find yourself really struggling, this might help! I have to admit, sometimes I had to just walk away when my daughter would have her tantrums. She would get me so riled up that I just had no clue how to respond. I appreciate your advice you offer because it is very clear and simple to follow. I have a 5-month-old now, so by the time she is 2, hopefully, I am a pro! LOL! Josephine, it sounds like you did the right thing by walking away. Sometimes that is the best way to deal with a tantrum. As long as your child is in a safe spot and cannot harm herself or someone else then just ride it out. I had to do that several times with both of my kids. And it helps the parent regroup! I think it’s important to be consistent with the rules and boundaries otherwise you’ll have a lot more trouble. I have three kids and the hardest part was to keep my emotions in check. Staying positive can also be a challenge, and I find that taking 10 deep breaths can help me rein in my emotions. I agree, consistency is the key to discipline. Children will not follow rules and boundaries if there is no consistency. 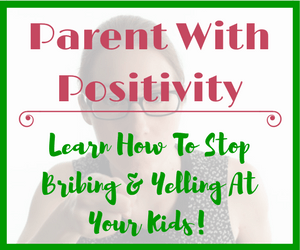 It is definitely challenging to stay positive when your child is screaming and kicking (often kicking you). Taking some breaths like you said can help. I also like to remind myself that this little person having a tantrum is a child. There are days I want to lie on the floor kicking and screaming, but as an adult we know this this is not acceptable. Kids need to learn these things. So take deep breaths or even turn away to gather yourself before dealing with the tantrum. Yes thanks Tanya. You are so right about staying calm, but it is so hard! I agree Lynne! Children watch everything adults do and will mimic them, the good and the not so good. It really is hard to stay calm sometimes. I find that if I can walk away for a minute or 2 to regroup then I can handle the situation better. I couldn’t agree more with everything you said in this article. One thing I notice a lot of parents doing is they threaten discipline all the time with no follow through. Such as saying, if you keep this up we are not going to your cousin’s birthday party when you know you are not going to cancel the plans. I have used many of your tips with my daughter and she has been so much better. Thanks for the article! Thanks James. I agree with you about threatening discipline and then not following through. Children are very smart and they catch on quickly. If they realize that there are no consequences for their actions, then why would they make any changes? It is important to follow through on all rewards and punishments. Also, it is important to make the punishment fit the action that is being punished. An example of this with my son is when he doesn’t want to turn the iPad off. I give him plenty of warning and even set a timer so that he knows when the timer beeps the iPad is done. If he insists on keeping the iPad I tell him that he will lose his iPad privileges for the following day. Then I wait. If it is not handed over immediately then there absolutely will be no iPad the next day. Also make sure that the reward/punishment is age appropriate! 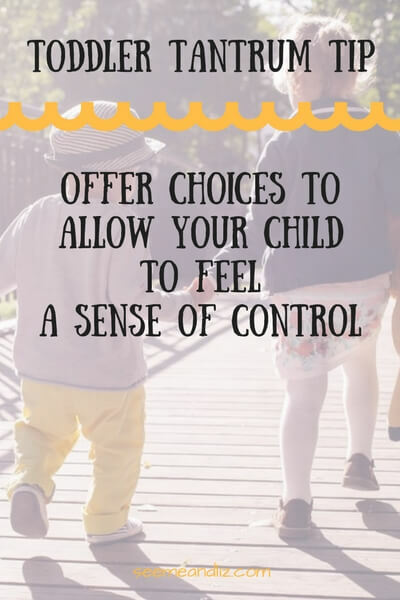 You know it’s like they say, children unfortunately do not come with manuals… so it’s nice to come across an article like this which teaches you the PROPER way of getting control of your children. Mine are in their teens or older and I had to learn the hard way with mine. I didn’t have something like this to read…well I did after the 2nd child. Mine were mostly mild mannered as very young children… but then when they hit their teens… Oh Boy! That’s all I can say. Thank you for sharing! Thanks for reading Tanya. Parenting is not an easy job and it takes a lot of control to not lose control when a child is having a tantrum and screaming. I know some of my suggestions sound good in theory but they won’t be as easy to put into practice. It will take time. 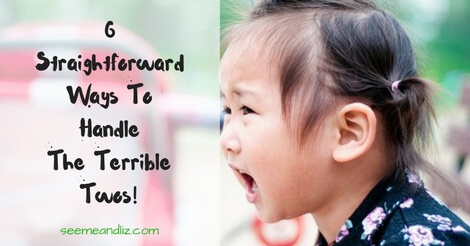 Great advice on how to handle the terrible twos! I’ve found though that the terrible twos start at one and just well go on. My daughter is turning 4 next month and she is not exactly throwing terrible twos tantrums but she is constantly pushing to get her way, moaning and whining and refusing to listen. My son is turning two in December and he has started long ago with his terrible twos tantrums. I can honestly handle that better than the moaning, whining and complaining. I’ve now heard that the age of four is the worst? Thanks for your comment Lynne! I think it really depends on the child’s temperament. We thought we were lucky with our son because we never had to think about how to handle the terrible two’s with him. He was a very pleasant two year old. Now at 6 it’s a whole other story. His tantrums, whining and even hitting started at the age of 5. I have learned that no matter how hard it is, the best way to get through some of these behavioral challenges is by remaining calm (I am not saying this will be easy, it is not) and sticking to your rules as a parent. 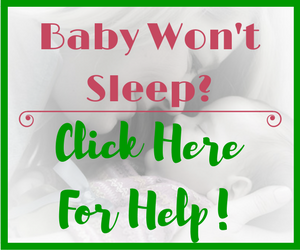 You cannot give in every time your child whines and throws a fit. This will not help them in any way once they are an adult. The way I parent my children is by always thinking about how the things I do now can help them later in life. Children need to learn that life is not fair and that their actions have consequences. I hope that helps!